Peter exclusively spoke with CBS “This Morning: Saturday” correspondent Anthony Mason this morning about living with the autoimmune disease Inclusion Body Myositis (IBM). IBM is a progressive muscle disorder characterized by muscle inflammation, weakness, and atrophy. 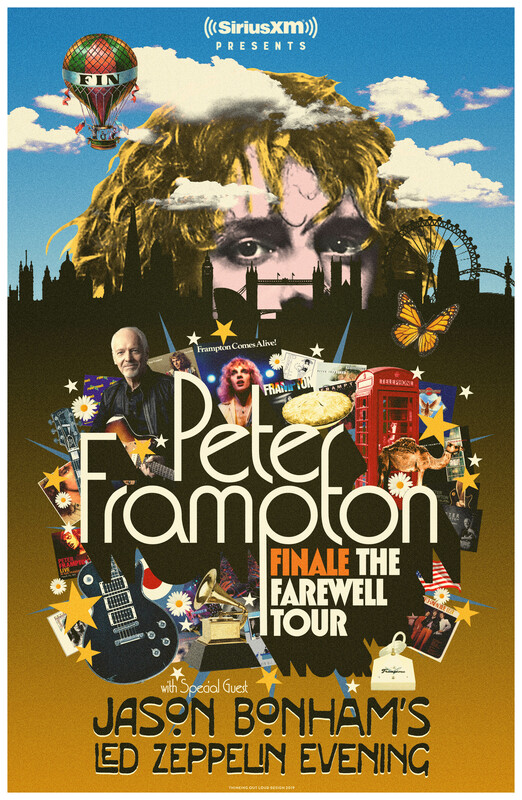 As a result, he has confirmed plans for Peter Frampton Finale—The Farewell Tour presented by SiriusXM and produced by Live Nation. The tour will feature special guest Jason Bonham’s Led Zeppelin Evening, as well as Julian Frampton on the west coast stops, with additional surprise guests to appear on select dates. 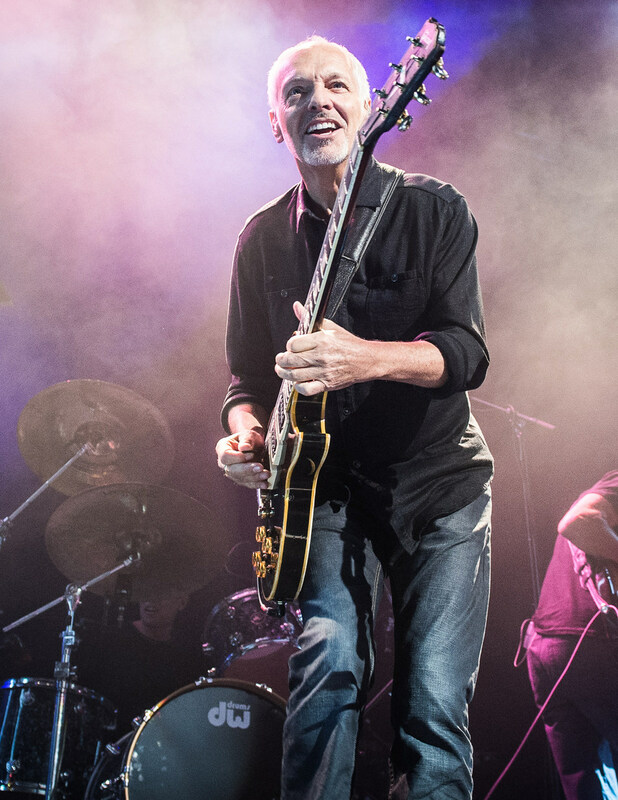 $1 of every ticket sold, as well as any donations, will benefit The Peter Frampton Myositis Research Fund at Johns Hopkins, a newly established fund by Frampton and Johns Hopkins, where he’s being treated. For more information, watch the interview on CBS “This Morning: Saturday” HERE. Peter to Receive the Les Paul Innovation Award at 34th Annual NAMM TEC Awards! Peter will receive the prestigious Les Paul Innovation Award at the 34th Annual NAMM Technical Excellence & Creativity Awards (NAMM TEC Awards), being held Saturday, January 26, 2019, in Anaheim, CA. The award is given to those individuals who personify the innovative thinking of Les Paul, the Father of Modern of Music. The Les Paul Foundation partners with NAMM each year to honor the individuals that have set the highest standards of excellence in the creative application of recording technology, which also celebrates the legacy of the late, great Les Paul. EPIPHONE RELEASES TWO FRAMPTON GUITARS! Epiphone proudly announces the Ltd. Ed. Peter Frampton Les Paul Custom PRO and the Ltd. Ed. Peter Frampton "1964" Texan acoustic/electric, incredibly accurate recreations of two of the most legendary guitars in rock ‘n’ roll, overseen by GRAMMYTM winner Peter Frampton and designed by Epiphone’s luthiers in Nashville. Both the Ltd. Ed. Peter Frampton Les Paul Custom PRO and the Ltd. Ed. “1964” Texan are also available as Premium Outfits featuring hand-signed Certificates of Authenticity and a Premium Hard Case. The Ltd. Ed. Peter Frampton Les Paul Custom PRO Premium Outfit is limited to only 200 guitars worldwide and includes a Hand-Signed Certificate of Authenticity and a Premium Hard Case. A guitar-only version of the Ltd. Ed. Peter Frampton Les Paul Custom PRO is also available with the same specifications and is limited to 900 guitars worldwide. Both Les Pauls feature ProBucker™ and CeramicPRO™ Open-Coil Humbuckers, an Ebony fretboard, and gold Grover® Rotomatic machine heads. The Les Pauls are based on Frampton’s legendary 1954 Les Paul—now known as the “Phenix”-- that helped power his rise to fame in the 1970s before it was presumed lost in a plane crash in Venezuela in 1980 and then rediscovered in 2012. The Ltd. Ed. Peter Frampton "1964" Texan Premium Outfit is limited to 100 guitars worldwide and includes a Hand-Signed Certificate of Authenticity and Premium Hard Case as well as the same L. R. Baggs® DS-ELE 2-pickup system Frampton uses on stage. A cd copy of Frampton’s critically acclaimed album Acoustic Classics will also be included with the Premium Outfit. A guitar-only version of the Ltd. Ed. Peter Frampton "1964" Texan features the L. R. Baggs® EAS-VTC pickup system and is limited to 500 guitars worldwide. Peter and Steve will be going back out this Summer together as well as some solo shows Peter will do with his band! Please go to http://www.frampton.com/live to see all of the dates. And, Steve adds “2017 was an amazingly beautiful, creative and rewarding music experience for our band and our audience," says Miller. "The band and production crew are working on creating an even better concert experience for 2018 and plan on wading even deeper into the musical waters. 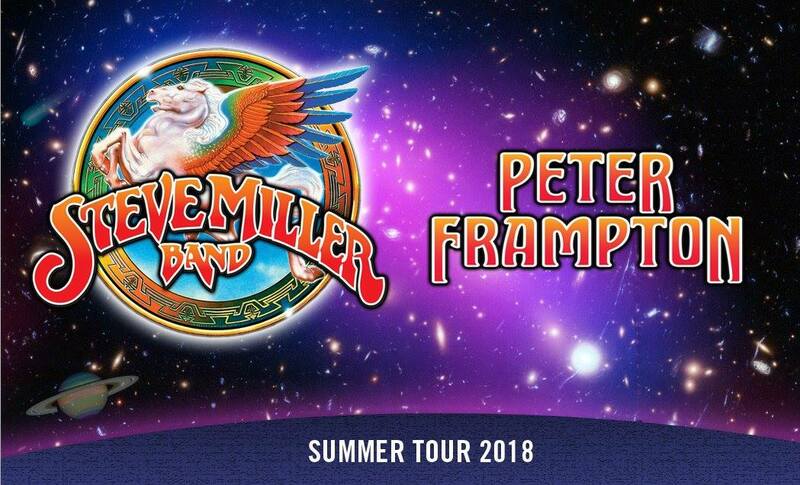 Peter Frampton and I enjoyed last summer. There is so much to explore and we are looking forward to seeing our friends in Canada and the States soon." We hope you can catch one (or more) of these amazing show this year! Watch Peter having fun with Universal Audio plug-ins! Check out this fun video - click HERE!